Heat coach Eric Spoelstra inserted Kelly Olynyk into the starting lineup, replacing Johnson. It was Olynyk’s sixth start of the season. The Heat led by as many as nine points in the opening quarter. Tyler Johnson’s layup gave the Heat a 56-44 lead with 3:51 left in the first half. Whiteside’s free throws stretched the lead. 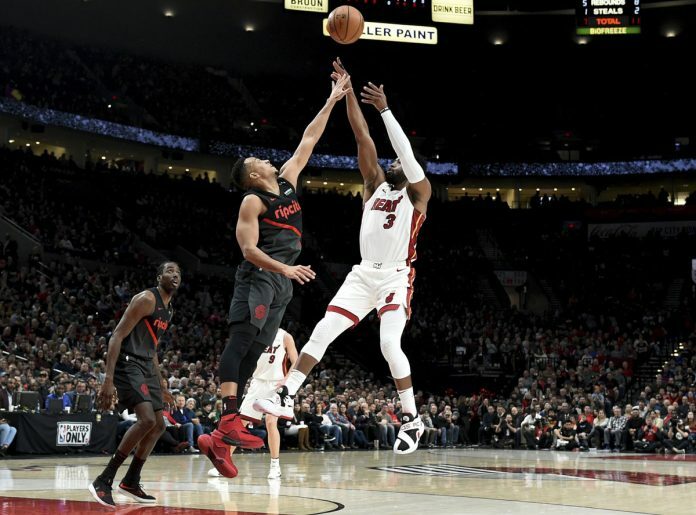 Portland began to close the gap a bit with CJ McCollum’s 3-pointer pulling the Blazers to 77-70 but Miami led 94-79 heading into the final quarter. He thought he’d be a deadline deal, and he never expected Portland. The Blazers sent Nik Stauskas, Wade Baldwin and two future second-round picks to the Cavaliers in exchange. Blazers coach Terry Stotts said he expects Hood to be available on Thursday when the Blazers host San Antonio. Heat: Goran Dragic and Derrick Jones Jr., did not travel with the team. Dragic is recovering from right knee surgery and Jones has missed four games with a bone bruise in his right knee. 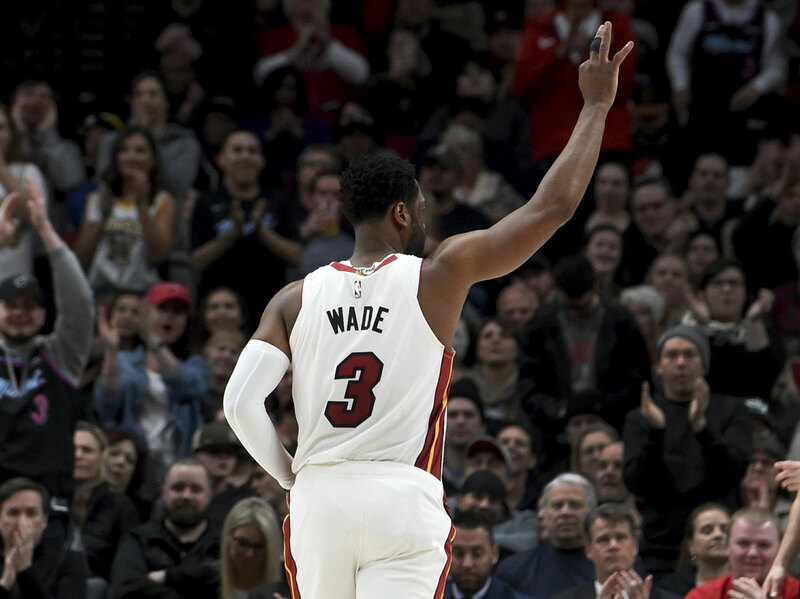 … Wade was treated to a standing ovation from many in the Moda Center crowd when he came into the game in the opening period. Trail Blazers: It became official on Tuesday, both Curry and Damian Lillard will take part in the 3-point contest at the All-Star game. “I think it’s a great opportunity for Seth to compete against his brother in Charlotte, that’s awesome, and for Dame to get another shot at it, it’s terrific,” Blazers coach Terry Stotts said. … Lillard finished with 13 points and 10 assists. … Layman finished with 25 points.